First Wednesday of each month from 12:15-1:00pm, in front of the New York State Capitol. (on Eagle Street- East side of Capitol). 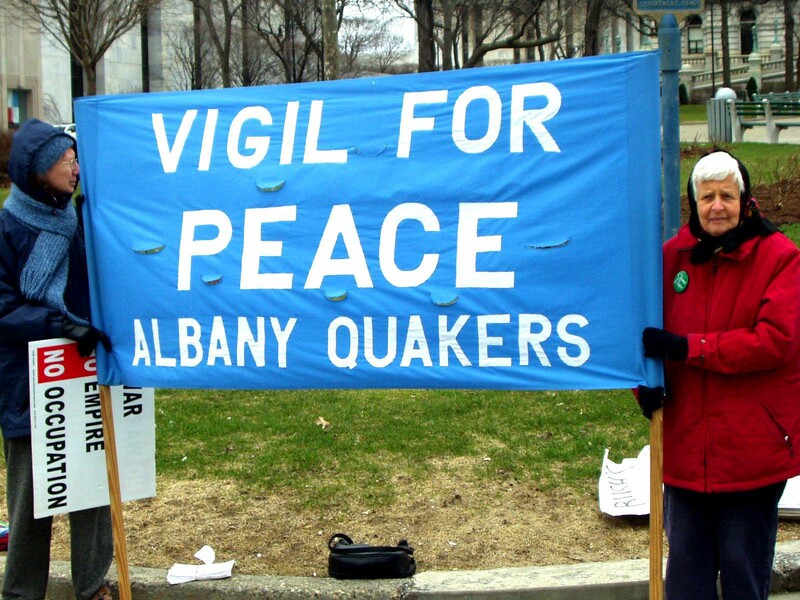 Organized by Peace Action and Albany Friends Meeting. Fourth Thursday of each month, corner of S. Manning and New Scotland Ave. (by St. Peter’s Hospital) from 5:00-6:00pm. Organized by Pine Hills Neighbors for Peace. Every Monday from 5:00 to 6:00 pm. at the Delmar Four Corners., Park on the street or in the town lot. Organized by Bethlehem Neighbors for Peace. 5 Depot Square, Chatham, NY 12307. Organized by Chatham Neighbors for Peace. 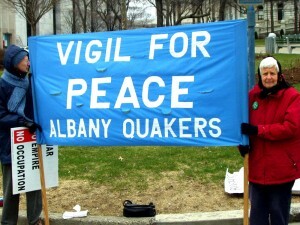 Each Saturday, 12:00am-1pm: Peace Vigil, in front of the Post Office, Broadway & Church St, Saratoga Springs. Organized by Saratoga Peace Alliance. Each Friday, noon-1pm: At the corner of State Street and Erie Boulevard, Schenectady. Organized by Schenectady Neighbors for Peace. Info: (518) 346-0517. Also includes Black Lives Matter. Each Wednesday 4:30 to 5:30pm, corner of Schuurman Road and Columbia Turnpike (9 & 20) across from the new Schodack Town Hall. Organized by Southern Rensselaer Neighbors for Peace. Powered by WordPress and WordPress Theme created with Artisteer by Wickwood Marketing.